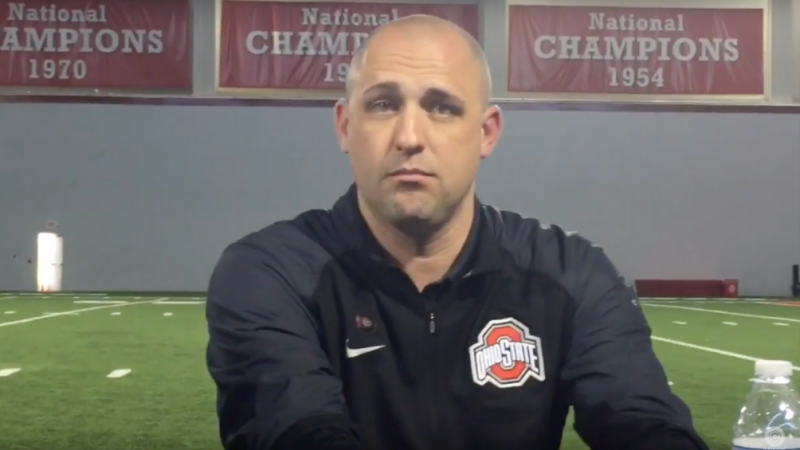 On July 20 of this year, Courtney Smith asked the court in Delaware County, Ohio, for a domestic violence civil protection order against her ex-husband, then-Ohio State assistant football coach Zach Smith. She already had made statements concerning his abuse in her 2015 petition for a divorce; that file was sealed until recently to protect Zach Smith’s career, and Brett McMurphy reported it was sealed without Courtney Smith’s consent. Courtney Smith told multiple police officers in Ohio about the abuse, but almost none of those statements ever lead to criminal charges against Zach Smith, and local law enforcement isn’t releasing everything they have about those cases. A few days later, after McMuphy reported on the protection order request and a prior call to police in Gainesville, Florida, in 2009, Zach Smith was fired. Since then, the focus of the reporting has moved to what role head coach Urban Meyer played. The questions make sense, as he’s the head football coach, Zach Smith answered to him, and Meyer styled himself a leader of fine young men who respected women. But it’s easy to lose track in all that of how this began, with Courtney Smith describing in detail an ex-husband who terrorized her and how she tried to find a way to make herself safe again. This is from the narrative section of Courtney Smith’s request for a protective order against Zach Smith. It’s the narrative in full as filed in court. A judge granted Courtney Smith’s request, but Zach Smith is challenging the protection order. That isn’t a huge surprise, given how Zach Smith’s lawyer and Smith himself have claimed everything Courtney Smith said is false. The next hearing on the protection order is scheduled for September.